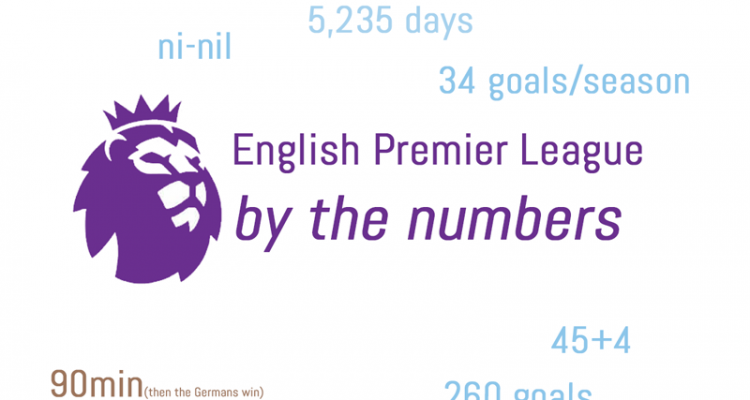 EPL by the Numbers 2018-19 #20. Click for more. The big matchup of Match Week 26 was its penultimate one with City trying to return to the top a day after Liverpool finally righted their ship with a 3-0 victory over Bournemouth. Their opponent was Chelsea, who have struggled of late, but are still thick in the chase for a top 4 berth. City wiped the floor with Chelsea 6-0 and even as Arsenal won 2-1 at Huddersfield, Manchester United ascended to fourth spot for the first time all season with their win. Liverpool and City now look set to take the title down to the wire, while United, Arsenal and Chelsea are all separated by a solitary point in the struggle for fourth place. Lower down the table, Newcastle blew two points with a horror error by their keeper in the 94th minute, settling for a 1-1 draw with Wolves. Fulham lost to United 3-0, Huddersfield to Arsenal (as mentioned above) and Southampton to Cardiff (2-1), while Burnley got a much-needed three points at stumbling Brighton (3-1) and Crystal and West Ham shared the spoils (1-1). Cardiff’s second victory in a row rose them outside the bottom 3, replaced by Southampton, with Fulham and Huddersfield almost certain to return to the Championship next season, in 19th and 20th, 8 and 14 points from safety, respectively. Around Europe, Dortmund continued their mini-slide by settling for a 3-3 home draw with Hoffenheim, while Bayern brushed Schalke 3-1 to cut the deficit in the Bundesliga to five points. Juve extended their lead at the top of Serie A to 11 points after their win and Napoli’s draw, while both Inter and Milan kept their positions in third and fourth with victories. In France, PSG returned to winning ways with a 1-0 victory over Bordeaux, a full 10 points separating them from the pack with two matches in hand. And La Liga saw Barça settle for a draw while Real Madrid won, cutting the deficit down to six points. Atlético is a further point behind in third and Sevilla now 14 back and only two above Getafe in fifth. The Champions League returned to action Tuesday and Wednesday, with the first leg of the Round of 16 matches, PSG ending United’s long undefeated run under Ole 2-0, Tottenham putting a foot in the Quarters by crushing Dortmund 3-0, Real slipping past Ajax 2-1 and Roma beating Porto 2-1. The other eight sides, including City, Liverpool, Bayern, Atlético and Juve, are all in action next week. 2:32 – With that much time left on the clock in the fourth quarter Monday, James Harden’s streak of 30-point games looked to be over, as he need 10 to hit his mark against the Mavs. So he scored 11 over that final stretch and hit 30 with 30. #31 would tie him with Wilt the Stilt’s second best run in NBA history. But to pass Chamberlain’s record tally, he would need 35 more games from here. 3 – Goals for Spurs CB Vertonghen in his five years with the club. Number three came Wednesday, as he doubled the Spurs lead on their way to an impressive 3-0 victory over Dortmund. The side are out of the FA Cup and League Cup, but are putting together another solid season under Pochettino that will likely end without any silverware … I just can’t help myself on that point. Son continued his hot streak in front of goal as he scored the opener Wednesday, with Vertonghen providing the assist. 5 – Huddersfield home goals this season, the least of all the sides in the four top divisions in England, heading into their matchup with Arsenal. They finally got a sixth, in extra time of the second half, to keep the Gunners from their first road clean sheet of the season, the second time they have been denied by a late, sloppy goal in the past few matches. 6 – The refs were busy in Spain this past weekend, as they doled out six red cards in 10 matches, including to Athletic Bilbao, though they still held on for a 0-0 draw with Barça that, coupled with Real’s 3-1 win at Atlético Madrid (also involving a red for the home side), meant the lead is down to six points. Sevilla was also able to salvage points down a man, 2-2 with Eibar. Real Betis was less fortuitous, losing 3–0 at Leganés, as was the case for Celta Vigo (3-1 at Getafe CF) and Girona (2-0 to Huesca). Messi was unable to conjure his usual magic, even up a man, as Athletic earned a valiant point Sunday. 7 – Sergio Agüero is on fire of late as he chases more league history (and, yawn, another title), scoring 8 goals in his last three matches, all wins, as City maintain maximum pressure on Liverpool. He also hit his second hat trick in three, against Arsenal and Chelsea no less, as he tied Alan Shearer for the league record 11. And one might mention that City are in position to go after a truly rare quadruple, starting with the League Cup a week from Sunday. 10 – Alex Iwobi hit the opener against Huddersfield Saturday, his fourth goal of the season, alongside 6 assists. Not a bad return for a player whose development seemed to stall under Wenger last season. He has been getting more playing time in the past two months than Ozil and Ramsey, the former the best paid player in red and white, the latter having just signed a precontract with Juve that will pay him an astounding 400,000 pounds a week. 10 of 11 – In case you’ve been pulling a Rip Van Winkle, that guy who scored the winning goal in the Manchester United miracle in Barcelona in 1999 was still undefeated after 11 in all comps, with the odd 2-2 draw with Burnley the only blemish on an otherwise perfect start. It continued Saturday with a 3-0 road win at 19th place Fulham. The streak would end there, though, as United lost 2-0 to PSG at Old Trafford and will seemingly exit the competition in three weeks’ time. 13 – La Liga’s Valencia have drawn 13 of their first 23 matches in La Liga, winning six and losing four. That record has them in eighth place, only six points from fourth place. Athletic Bilbao now have 12, after their draw with Barça Sunday, and Villareal 11, though they have only 3 wins and currently sit in 19th place. Raheem Sterling finished off the worst loss for Chelsea in 28 years, but the match was over inside 25 minutes and serious questions persist about whether Sarri will last the season. 34 – Liverpool’s 3-0 victory over Bournemouth made it a club record 34 unbeaten in the league, as they moved back to the top of the table by three points. If they had held their leads in the two previous matches, of course, that lead would be a probably unassailable 7 points. City won to jump back above them on goal difference, though the Reds have a game in hand. The 10-goal advantage in goal difference, however, means that the Reds can really only afford to drop two points the rest of the season, assuming City continues on their recent hot streak. 100 – Gareth Bale recently hit his 100th goal for Real Madrid as they continue their rebound from a rough start to the campaign … however, the Welshman remains an unpopular player among many fans and it was recently revealed that after six seasons in Spain, he still speaks little to no Spanish. Could he be back in the EPL next season? The odds are dropping and plenty of sides are salivating at the prospect, even with the injury troubles that have plagued his career in España. Bale’s 100th was the third of the day Saturday as Real beat crosstown rival Atlético for the fifth time in a row. 76 of those goals have come in the league, alongside 25 assists in 144 appearances. 1999 – December of that year was the last time Chelsea conceded four goals in the first half of a match. And three consecutive road defeats without scoring a goal? That hasn’t happened to the Blues since the Premier League era commenced in 1992. 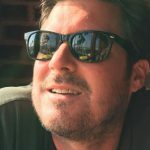 No Comments on "EPL by the Numbers 2018-19: Match Week 26, Chelsea in shambles as City return to the top of the table"